1. 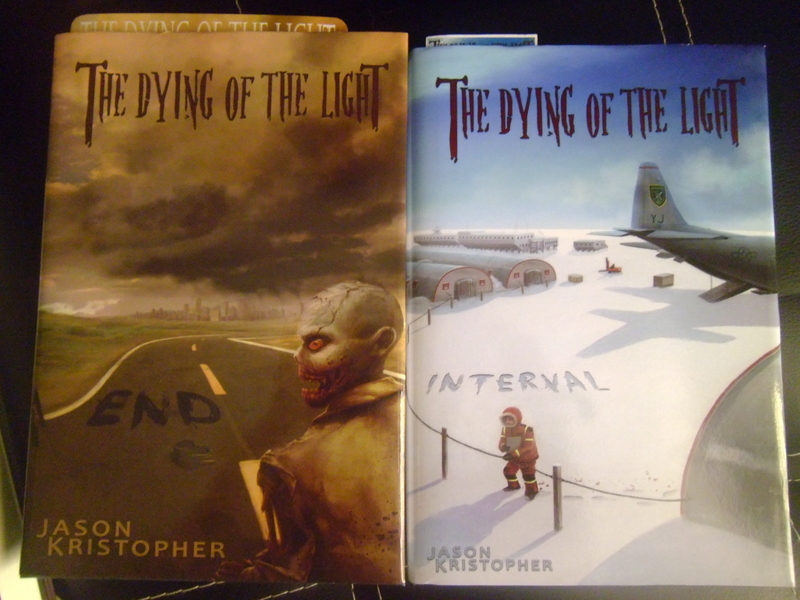 Your books (The Dying of the Light ) are a series of zombie apocalypse novels. What do you think your stories have that set them apart from the rest of the zombie genre? First, a realistic and scientifically-vetted reason for zombies, as in it’s not just supernatural or science fiction ‘hand-waving.’ Second, and this is the key difference, the books aren’t about the zombies. Yes, they have zombies in them, and action and blood and guts and gore, but at its core, The Dying of the Light is a story about people. I always tell potential readers that it could’ve been anything that ended the world: aliens, earthquakes, global warming… none of that matters. This series is about the end of these people’s own personal worlds, and how they deal with what happens during and after, and more importantly, with each other. That’s the real story – the rest is just window-dressing. 2. What inspired you to write zombie novels? Did the characters come to you as products of the apocalypse, or did you drop them into that setting after their inception? 3. Stephen King says people who don’t read don’t have the tools to write. Who are your favorite authors? Who inspires you to write? Who do you read to gain more writing energy? Would it be trite to say Stephen King? His book On Writing is the single best treatise on the craft of authorship that I’ve ever read. As for other fun favorites, I have a ton, but a few that come to mind: Isaac Asimov, Terry Brooks, Jim Butcher, Orson Scott Card, Arthur C. Clarke, Donaldson, Jordan, Koontz, Niven, Pratchett… see what I mean? For inspiration, I look at some of my friends, like George Wright Padgett (Spindown), who wrote one of my personal Top 5 sci-fi books. That is inspiring, to me. I like to re-read some books if I’m having trouble with a book I’m writing, too. For example, I’ll revisit The Hitchhiker’s Guide to the Galaxy series if I’m stumbling over dialogue – even though it’s English slang, Douglas Adams was a master of dialogue. 4. Do you have play lists of mood music you write to? If so, which artists/songs generally make the cut? If I have music on, it’s generally instrumental – tuneful background noise, basically. The soundtrack to Lord of the Rings, or Last of the Mohicans, that sort of thing. If I’m struggling with a particular type of scene, I’ll find some music that fits that ambiance. For example, my “Car Chase” playlist has Guns N’ Roses, Project Pitchfork, Rihanna, and even Motley Crue. But usually, I like it quiet or very low music when I’m writing; it keeps me focused. 5. You are not just an author, but the owner of a publishing company: Grey Gecko Press. Tell me a little about that. What made you decide to open such a venture and what are your goals for the company? I’ve always been business-minded, and when I published my first book, I knew there would be business expenses involved. Originally, I never planned to publish anyone else’s work, but then a friend (author Wayne Basta) asked if I could help him, and Aristeia: Revolutionary Right became the second book published under the Grey Gecko imprint. I found I really enjoyed working with other authors to share great stories, even if they weren’t mine, and I had the ability to do it… so why not? From the beginning, the company has been about treating authors fairly, publishing great books, and doing things the right way, even if that bucks centuries of tradition. As far as goals… well, I’ve long said that I’d like for Grey Gecko to be ‘the Google of publishing.’ Most people interpret that to mean I want to be rich, when that’s not at all my goal. 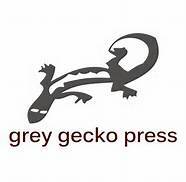 I want Grey Gecko Press to be huge because it would mean that every author would have a chance at the same kind of success that only a few get now with traditional publishing. Every struggling writer, pounding away at their keyboard (or typewriter, I’m not judging) would know that at least one company would look at their work when it was done, regardless of their past publishing experience – because, at the end of the day, Grey Gecko isn’t about making money: it’s about publishing great books and putting authors first. As you can tell, I’m quite passionate about this endeavor. 6. You’re quite an entrepreneur. What other projects do you have up your sleeve? I think it’d be gr eat to have a Grey Gecko bookstore, for one thing. For another, we haven’t been able to focus on as much as I’d like with Grey Gecko is giving back to our community. I’ve got some ideas for creating local resources and ‘maker-spaces’ for writers of all types and kinds. When we’re ready, I’d like to take our business model into other fields, as well, including movies, film, and even music. So yeah, a few projects on the horizon! 7. How would you feel about having your books made into a television show or series of movies? Would you want to write your own screenplays? Who would be your ideal director? One of the comments I have most about my books are that they’re very visual, very cinematic, and I agree! I think they’d make great movies/TV shows, mainly because that’s what I see in my head when I write them. I’m not sure about writing the screenplays myself, although I’d give it a try. There’s a lot about the behind-the-camera part of the film industry that I don’t know, so I’d at least listen to some experts… though naturally I’d want final say. I’d rather not have it made at all than made badly. I’m not sure of all the director’s names on The Walking Dead, but they do such a masterful job with a show that’s so similar in tone, that I’d likely pick one of them, given the choice. 8. 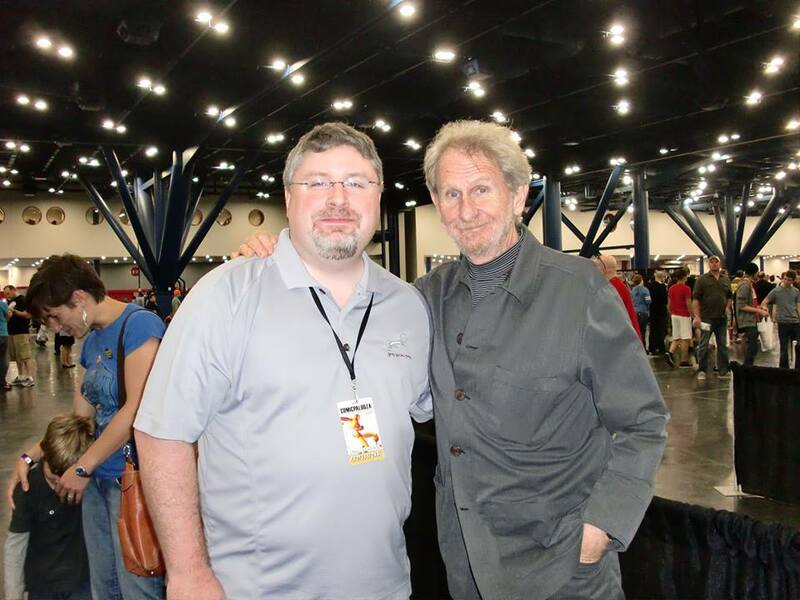 You’ve had booths at Comicpalooza and done numerous book signings with local bookstores. What were those experiences like for you? What are your favorite parts? What are your least favorite parts? Despite what I may say on Sunday afternoon at a convention, I actually enjoy talking to people about our books. Helping people discover a new book they haven’t heard about, or seeing their excitement at the next volume in a series, or seeing the light of wonder shine in a child’s eyes as I hand them a copy of Greystone Valley is why I do what I do. As far as book signings go, I enjoy them for many of the same reasons; talking to people about my books and getting t hem excited about reading is a blast. What it really comes down to for me, though, is that I’m a storyteller at heart; however I can tell you a story, I’m going to do it. My least favorite part of all these things would be the setup, teardown, and logistics that go into planning them… mainly because I’m lazy! I’d love to show up with a cup of coffee and find everything set and ready to go, but that’s the price you pay for being your own boss, I guess! 9. What other published work have you been a part of? And what can we expect to see from you in the future? Aside from The Dying of the Light, I’ve also published several short stories, some of which are based in my zombie series, some not. I also contributed one of my favorite short pieces, The Art of Steaming, to the horror anthology A Fancy Dinner Party, along with 9 other Grey Gecko Press authors, and it was also featured in the collection Penny Dreadfuls: Halloween Special. For future work… boy, have I got some ideas for you! First, I’m finishing The Dying of the Light with the third book, Beginning, due out this winter. Then there’s Under a Cloud-covered Moon, the first in a series about an irascible, anti-hero detective who works for the Seattle Metahuman Crimes Unit, solving crimes by and against ‘metas’ – non-supernatural mutants who’ve been called ‘vampires’ and ‘werewolves’ for centuries by those who had no idea of their true nature. I’ve also got a middle-grade/YA story in mind about a Teddy Bear (because it’s a job, not a toy) named Freddy McPhane, as well as my epic fantasy series of 30 books (no joke), not to mention the 150+ other ideas I have written down. I’m going to be busy! 10. If there is one thing you would want your readers and fans to know about you, what would it be? If you had one request of your readers and fans, what would it be? I want all my fans and readers to know that I love hearing from them! Whether it’s a quick note, or a detailed letter, I’m always excited to connect with my readers, which is best done through email at jason@jasonkristopher.com. For a request, I’d request everyone who enjoys the books they read, especially indie books, to leave a review on Amazon, GoodReads, or elsewhere. Short of buying more books, a review is the best way to support indie authors and small press. That and telling all your friends, of course! To find out why reviews are so important, visit my blog: On the Importance of Reviews, or, It’s Just 21 Words!